With coming of a brand new Displair air screen technology, digital picture projected in the air is no longer a dream. Air display creates image which is translucent, permeable and, unlike with screen displays, floating in mid-air. 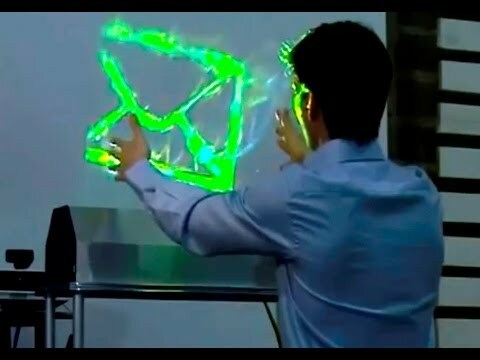 Thanks to its accurate gesture recognition system, Displair is able to capture hand movements allowing for virtual object manipulation in free space. The “basis” of the image is created inside of aerodynamic layer of dry fog which is composed of ultra-fine water droplets. 3-dimensional interactivity is made possible by aid of IR sensors and camera registration. 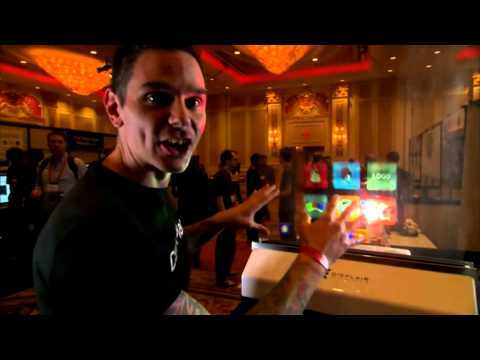 Packed with a custom-tailored gesture recognition system, Displair uses an equivalent of 3D multitouch to establish a new level of user interaction, now in free space. One may manipulate visible objects right in the air: zoom in and out, move, scale, swipe to the side and even create new items – all with an ease of hand movements. Altogether, this makes use of air display natural and full of fun. It’s a small wonder that translucent images may look slightly obscure depending on surroundings and availability of light. Our special colour-tuning technology makes the picture bright and rich in contrast in nearly any environment. Often blocked by screen barriers in our living environment, we tend to seek ways to sustain open space around us. Displair creates a translucent and freely permeable image thus contributing to preserving open space behind it. Seemingly delicate, our air screen creates a steady picture which remains consistent even when interrupted by penetrating objects. Displair is made with environmentally friendly materials and is safe to use. Displair moisturizes air and benefits the skin. Displair’s power consumption is minimal. There are many pioneering ideas that are turned into technology inside of Displair. A one example that helps retain image steadiness even during possible windflaws is an aerodynamic image supportive system – a meticulously engineered airflow jacket. We packed Displair with an extended set of handy apps making usage easy and full of excitement. For special cases requiring custom-tailored applications, our software development staff will be there to assist.